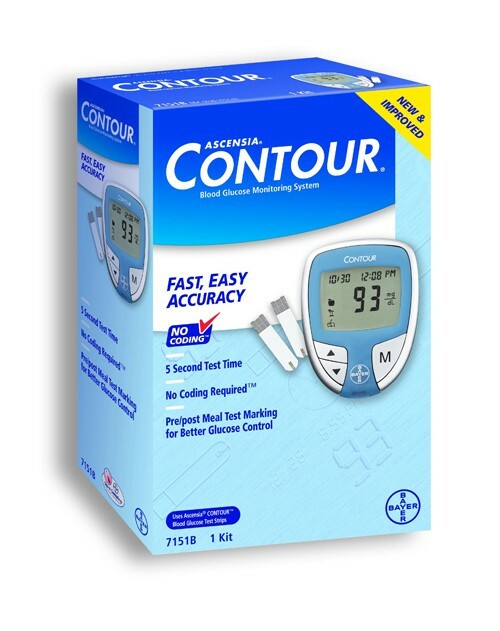 The Bayer Contour Blood Glucose Monitoring System is one of most straightforward Glucose Systems you will ever use because it was designed for easy self-testing of your glucose concentrations using whole blood. It has three large buttons and a clear display that ensure ease of use. Don’t worry about coding this meter or tracking your control test results because this meter automatically does many of the tasks other glucose monitors leave to you. This glucometer is not intended to diagnosis or screen for diabetes mellitus. 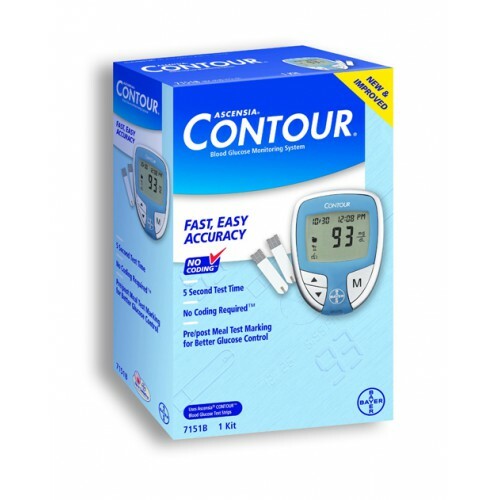 Designed for ease of use, the Bayer Contour Meter codes itself every time you insert a test strip and will tell you when a test strip is under-filled, so you don’t have to worry about inaccurate results due to miscoding. You can take this compact meter with you anywhere, for it takes up about as much room as a key fob. The lancing device is not intended for professional use, and, due to the risk of spreading infectious disease, you must not use it to lance anybody but yourself. Pre-set in basic mode for easy testing, you can choose to alternate between basic or advanced mode after receiving your device and learning all the features of each mode. You can transfer results to your compute after testing with your Contour Glucometer, and a specialized software will create a visual summary with graphs and tables. This meter is tested and certified for use with the GLUCOFACTS DELUXE software and no other software. User Guide contains use and care instructions. Guiade Lusuario contains use and care instructions. Does that apply to the machine or just the test strip and quality control fluid?? The expiration date refers to the control fluid. How to start and chek the blood....???? We do not carry this product in our warehouse and therefore cannot accurately answer. It's best to contact the manufacturer of the product for material clarification and other specifics.